Sourced from the coppice restoration project at Westonbirt Arboretum. These are available directly from us: by collection from our Yard near Tetbury (weekdays only) or from home in Stroud (usualy weekends or evenings). Both by prior arrangement only. 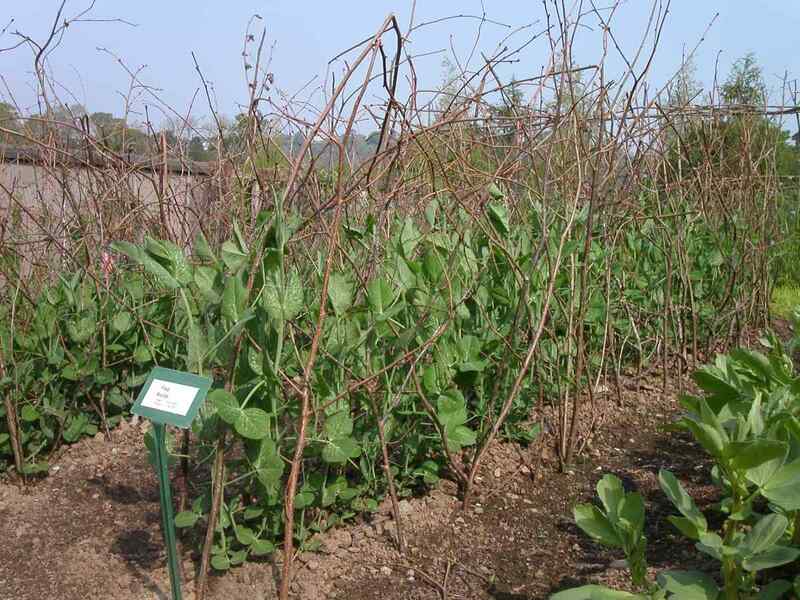 Bean poles (approx 7’long): £1 each, usually bundled in 10s. Pea sticks (approx 5′-6’high): £1 each, usually bundled in 10s. These come in bundles of 10. 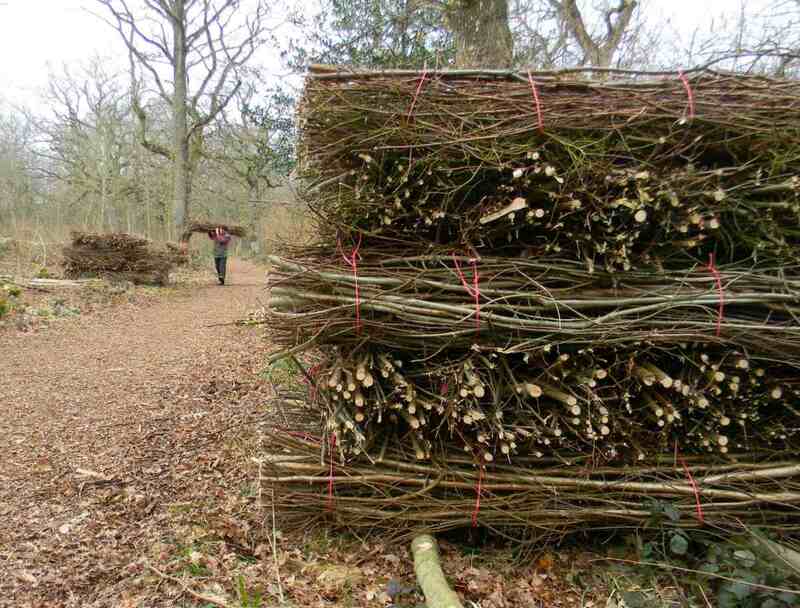 We can supply any size, typically 18″, 3ft, or 4ft, in a mixture of hazel and ash. A guide prices is 60p for 3′ and 1m stakes, 85p for 4′ stakes. 2m long by 0.3m diameter and costs from £8.50 to £6.75 . depending on quantity. Other sizes are available. 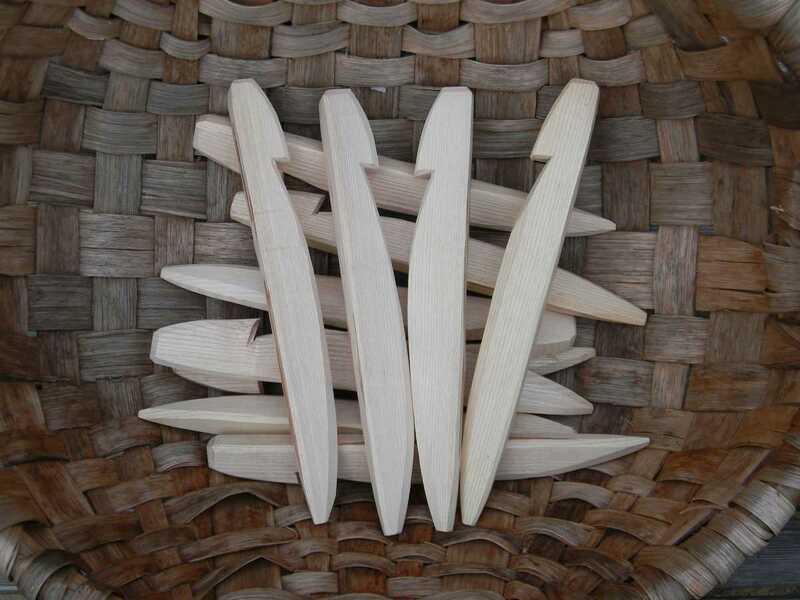 Cleft from small ash poles and shaped either with a stock-knife or on the shaving horse, these are the best wooden tent pegs you can buy. Don’t be tempted by cheaper, sawn, imitations.